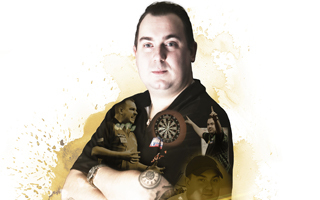 Many experts in the world of darts believe that Kim Huybrechts is destined to become World Champion. Kim made his Premier League debut in 2015 and there is no doubt that he is one of the most talented players in the world. He is already the best darts star to ever come out of Belgium. He has proved it on the big TV stages and now it is time for 'The Hurricane' to take the sport by storm and take his game to the highest level after joining Team Unicorn. "To be with Unicorn for the most important next stage of my career is just massive," he said. "I am ready to take on all the challenges ahead and I know with everything that Unicorn have to offer in terms of help and support, that I will be in the best shape possible!" A place in the top 8 in the world, a first TV 'Major' and a prized spot in the Premier League are high on the Huybrechts wish list. "I know I have to work harder. My brother Ronny sometimes calls me 'lazy' and he has a point! But I will put in the hours practicing to achieve my ambitions," he added. Kim has made a huge impression in just a short space of time and it is surely only a matter of time before the big titles start rolling in. He has already played in all the 'Major' TV tournaments and with at least two decades ahead of him in his chosen profession, you know the future looks bright.....Belgium bright! At the end of 2012 Huybrechts reached his first 'Major' TV Final.....it came at the Players Championship Finals in Minehead. He looked in good touch all weekend, beating the likes of Vincent van der Voort, Michael Smith, Peter Wright and Justin Pipe. In the final Kim pushed Phil Taylor all the way.....at the second break it was 5-5 but Taylor's experience won the day as he took the title 13-6. But it was a big breakthrough for Huybrechts and will be the first of many 'Major' finals, that's for sure. Earlier in the year, Huybrechts reached the semi-finals of the European Championship but lost a thriller 11-9 to eventual winner Simon Whitlock. It wasn't long before he won his first PDC title when he beat John Part in the final of a UK Open qualifier. But Kim knows that to reap the rewards, he needs to put in those hard darting yards! 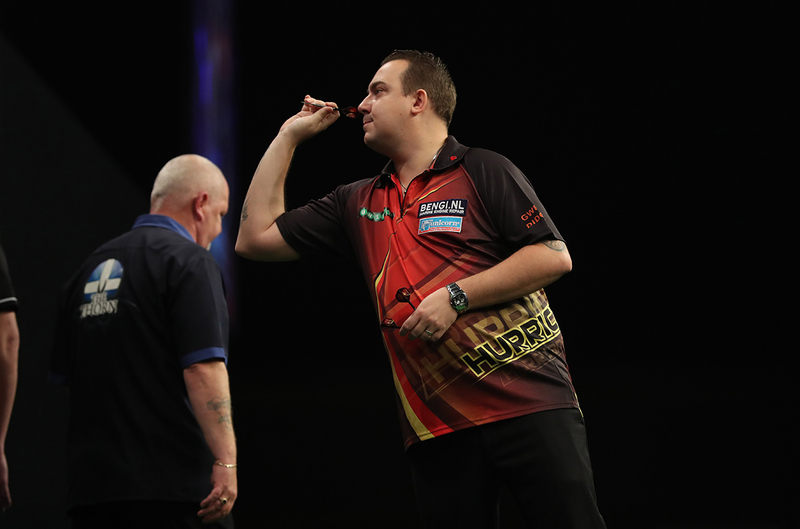 A perfect example of how simply playing and practicing can help Huybrechts came in 2013 around the time he was competing in Championship League Darts at Crondon Park in Essex. He played six days of the behind closed doors internet tournament over two weeks and it made a huge difference to his fortunes. As well as reaching the winner's group of CL Darts and hitting a 9 darter at Crondon Park, Kim won a Players Championship event in Killarney - beating Kevin Painter in the final - and then secured one of the biggest wins of his career as he triumphed at the Dutch Darts Masters! Everything clicked for Kim in a golden four week spell.....to win the Dutch title he beat Dean Winstanley, Wayne Jones, Mickey Mansell and Peter Wright to reach the semi-finals. There he came up against Michael van Gerwen but it was the Belgian who was running hot as he won 6-4! And in the final, Huybrechts toppled Brendan Dolan 6-3 with an average of 106. That tournament win in Holland saw 'The Hurricane' blow into the top 16 in the world for the first time.....it had taken him only two years to do it....an amazing achievement. Huybrechts and brother Ronny have put Belgian darts firmly on the map over the last few years, so much so that youngsters are starting to pick up the sport again in his home country. The brothers brilliant run to the final of the 2013 World Cup of Darts helped. They dedicated their achievement to their inspirational father Ludo, who sadly died six months earlier. It hit them hard and Kim fell at the first hurdle at the World Championship soon after. But Ludo is still very close to their hearts and now Ronny acts as Kim's mentor.....and that means the odd kick up the behind to get Huybrechts junior working harder and practicing more! "Ronny tells me the truth and that is what I need," Kim admitted. "He is a big help to me and I listen that's for sure." The Huybrechts lost the final to England but that experience has made them even hungrier to go back and win the World Cup.....the ultimate tribute to their father. "I know I can be one of the best players in the world. That isn't arrogance. It is a real belief. I know I have to work but I can do it." The 'Eureka' moment for Huybrechts came at the 2011 European Championship in Germany.....and that weekend in Dusseldorf made his mind up - his future belonged in the PDC and professional darts. He came very close to reaching the 2011 Lakeside World Championship but lost in the final qualifier to Arno Merk. He decided things had to change and he managed to squeeze into the PDC European Championship - qualifying through the European Order of Merit. On the stage in Dusseldorf in front of the ITV cameras, he beat Spain's Antonio Alcinas and then he overcame Unicorn ace Wes Newton. 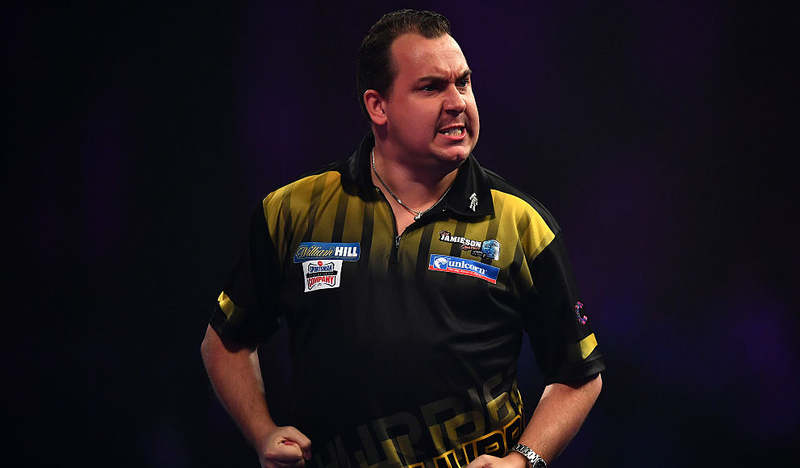 He lost a thrilling quarter-final 10-8 to Adrian Lewis but Kim Huybrechts had arrived! And he followed his success in Germany with a stunning run at his debut World Championship a matter of months later......at the Alexandra Palace, Kim again reached the quarter-finals. He took out Brendan Dolan, James Richardson and then Paul Nicholson before running out of steam and losing in the last eight to Andy Hamilton. It has been a rapid rise ever since for the young Belgian. Indeed in 2012, he reached at least the quarter-finals in 10 events and he has just got better and better! And now with Ronny also on board with Team Unicorn, the band of Belgium Brothers are aiming high. Two of the nice guys of the sport......but they have had to put brotherly love to one side on the oche! Twice Kim has beaten Ronny in big TV clashes.....first at the 2013 Grand Slam of Darts and then again in a dramatic 2014 World Championship clash when Ronny missed darts for a two set lead and Kim came back to win......however, in the next round 'The Hurricane' blew his match against Ian White. After coming from three sets behind to level the match, the Belgian star missed chances in the decider and should have won......but it is all part of darts rich tapestry and Kim admits he learned a very harsh lesson that night which will stand him in good stead for future big darting battles. A place in the Premier League is also surely on the horizon.....Kim was certainly in the mix for a spot in the 2014 tournament. It is in his own hands. "Wrongly the PL was in my thoughts. There are no excuses in darts. Of course it is a big target for me but it cannot become a distraction." Young Kim started playing using a magnetic board on the floor at the age of two! By the age of 10 he was regularly playing in competitions and was soon winning tournaments. It was then natural progression for Huybrechts. It seems that he was always going to be a champion. "I have to be mentally tuned in. It's all about wanting to be the best. I have to be aggressive in matches and be strong mentally," he said. Kim and partner Dana have celebrated the birth of their first child.....daughter Ashley-Mae will certainly be the inspiration! 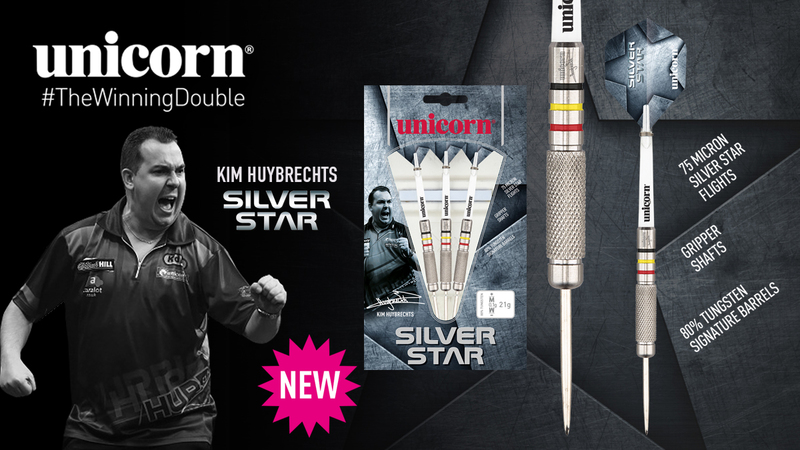 We all expect Kim Huybrechts to be a winner for many years to come on the big darts stages around the world. Favourite holiday destination: Anywhere warm. Hero Huybrechts wins Matchplay epic!